Janet Dickey Service Details - HARRISON, Michigan | Stocking Funeral Home, Inc.
Janet Louise Dickey 86 of Clare, passed away peacefully at her home on Thursday, September 13, 2018. Janet was born June 16, 1932 in Ferndale, Michigan the daughter of Roy Emmanuel and Agnes Emily (Ward) Hoover. On June 18, 1955 in Walled Lake, Michigan, Janet was united in marriage to Mr. Roy Clayton Dickey Jr. After sixty-two years of marriage, Mr. Dickey preceded Janet in death in 2017. Mrs. Dickey had resided in Clare since 2012, moving from Farwell, Michigan and previously from Wixom, Michigan. Janet was a longtime member of TOPS. She loved the Christmas holiday, as she would set up her Christmas villages and do extensive decorating. Janet was known for her delicious homemade apple pies. Janet enjoyed crafting, and giving unconditional love to her grandchildren and family. Surviving Mrs. Dickey are her three daughters; Brenda O’Neal and husband Mike of Simpsonville, South Carolina, Pamela Wadley of Coleman, Michigan and Kathy Irish and husband Jim of Zeeland, Michigan, two sons; James Dickey and wife Ruth of Vienna, West Virginia and David Dickey and wife Lorena of Lake, Michigan, nine grandchildren, seven great-grandchildren, three great-great grandchildren, plus many nieces and nephews. Mrs. Dickey also was preceded in death by her parents, three sisters and one brother. A Memorial Gathering honoring Mrs. Dickey will be held Saturday, September 29, 2018 from: 2:00 – 4:00 p.m. at Gateway Village Community Room, 235 Gateway Drive, Clare, Michigan 48617. Inurnment will be in Memorial Gardens Cemetery, Mount Pleasant, Michigan at a later date. Memorial gifts in memory of Mrs. Dickey may be considered to: McLaren Hospice, 2110 16th Street, Suite 7. Bay City, Michigan 48708. To share an online memory or condolence with Janet’s family, please visit: www.stockingfuneralhome.com. 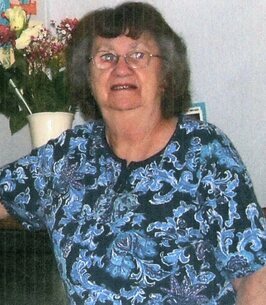 Arrangements for Mrs. Dickey are entrusted with Stocking Funeral Home, Harrison (989) 539-7810. 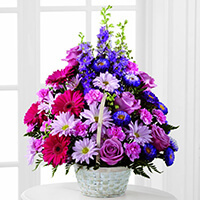 To send flowers to the family of Janet Dickey, please visit our Heartfelt Sympathies Store.